This is a kind of a shout-out to all the folks who've been putting in hard work rebolting the beautiful slab lines in Yosemite. Not wanting to list the names of all those who've worked on the lines, I will say the list wouldn't be complete without starting with Roger's. Here's to you Bro! I've lurked after the rebolting efforts, seeing how the old lines felt with new hardware. 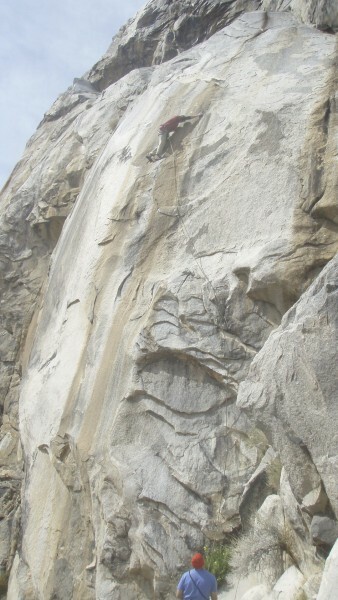 What a Pleasure, climbing on Middle, GPA, and the Arches Terrace. YeeHaw that slab stuff is fun. While you might find yourself looking at a slider, it's nice to not worry about falling onto lonely and loose Leeper hanger, hanging off a bent 1/4" button head. 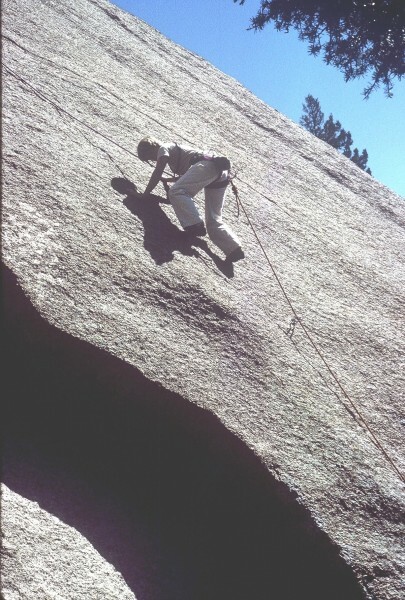 Anybody got any pictures of what I'm talking about, climbing these slab climbs? ALSO: Huge shout out to those who put these babies up. Hear, hear! There have been threads showing rebolting on the Apron a while back, and I've certainly seen (and clipped into) the results of the ASCA efforts all over. Thank you all. Not the Valley, but SLAB nonetheless!!!! 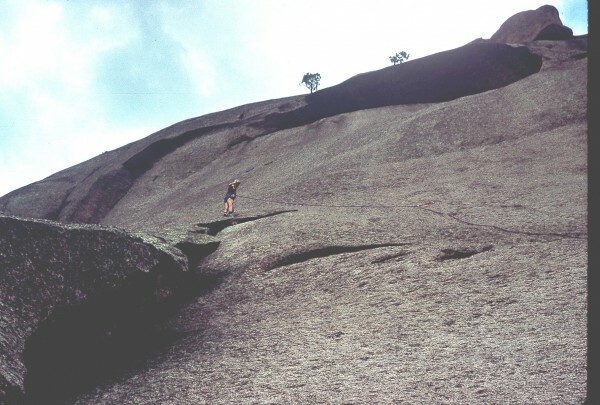 On "Topographical Oceans," Dome Rock, South Platte, Colorado. Anne Carrier on "Topographical Oceans," 5.9+ firat pitch. 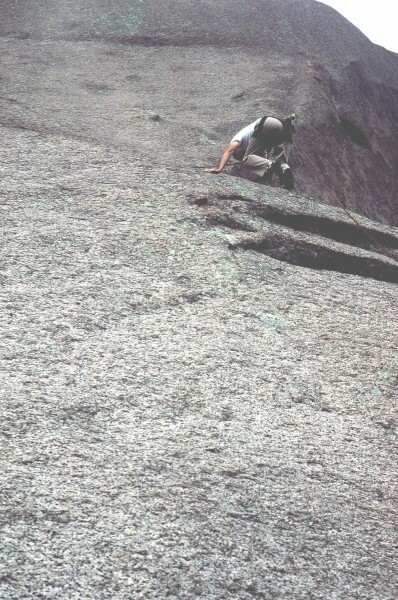 The Dome in the South Platte offers GREAT slab climbing without the rockfall of the Apron. 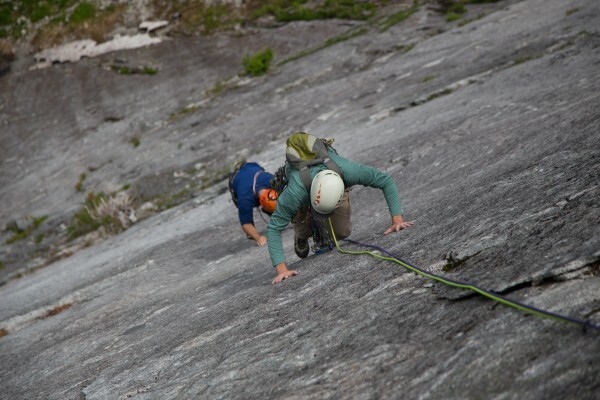 BDC on the second pitch of "Topographical Oceans." 1985 ascent. 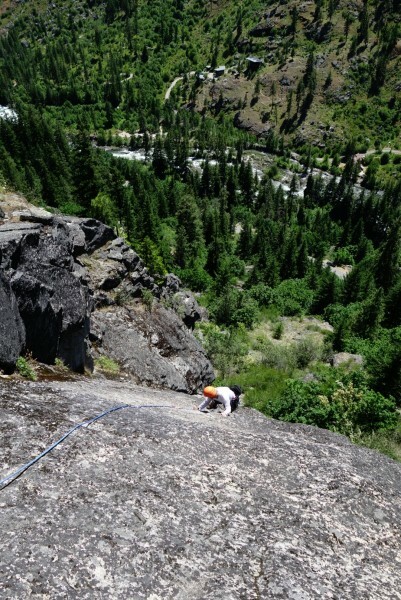 ASCA recently replaced all the bolts on the first 3 pitches and half of the original 14 on the final 5.10b lead. God invented slab so old fat guys can continue to climb. Slabs...sorry guys, can’t go there. I climb them when they get in the way on a multi pitch...not with any grace, mind you. Dameat and Levy INYO kern wall. Different strokes for different folks, that's what makes the world an interesting place. I always liked slab. Especially way out on the sharp end. Talk about feeding the rat! 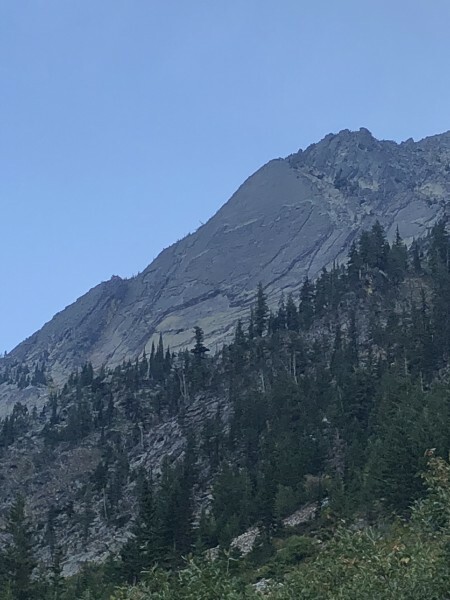 I've always liked my slab on the steepish side, where there has to be some sort of features resembling holds, not just undulations, shallow scoops and sticky spots. 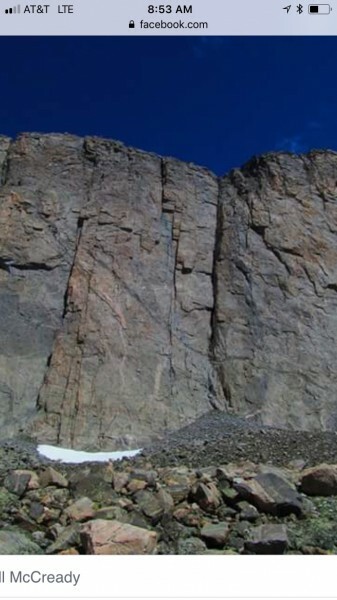 The first pitch of Valhalla is a good example of this type of slab, as are Count Dracula (Josh) and several things at Dome Rock. The older I get the slabbier I become. I have always loved slabs, and the South Platte is my local slab nirvana. Topographic oceans, bolts to nowhere, bolts to somewhere, what fabulous memories. Helen's Dome is just great for some steeper slabaciousness. 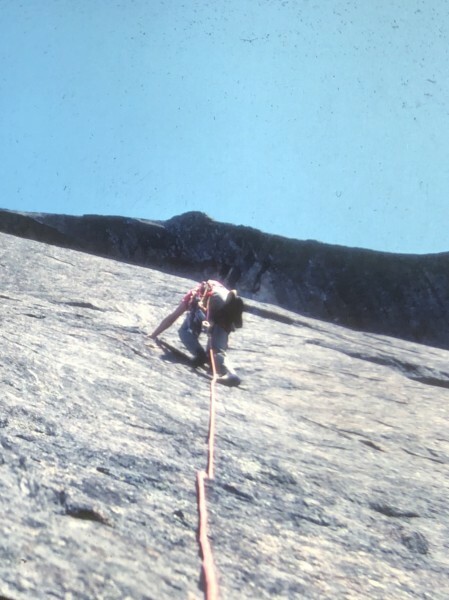 In the early 80’s, as a new climber in the Adirondacks, I got my start on slabs as a matter of circumstance. Chapel Pond Slab, Poko Moonshine- these were the areas in the guidebook that had the 5.6’s and 5.7’s. Since we started leading right from the start we sought out the easier climbs. They were always run out but we didn’t know any better and up we went. 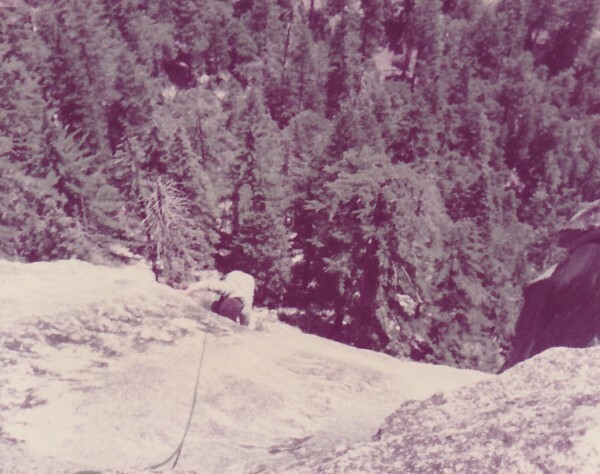 We never fell and eventually progressed through the grades and as we built up our racks we climbed more cracks and less slab. 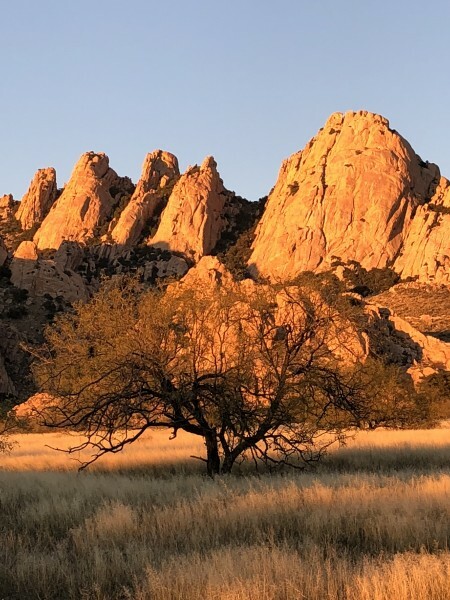 Fast forward a couple years to my first trip to Joshua Tree. 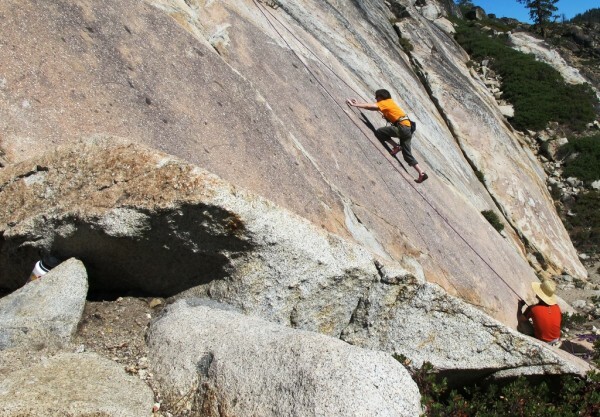 Same pattern- find the easy routes in the guidebook and start there- Echo Rock served up fun spicy slab climbing. We progressed to the 9’a and 10’s, and I remember Sidewinder being fun and exciting. There went my affinity for slab... which is too bad because I always found that type of climbing to be fun. Oh man !! Now however as a wizened adult I can venture onto all sorts of slab and though I feel a twinge of self - consciousness I still have a good time. Delicious Darrington slab. Friction crux of Silent Running. Heart of Gold in Leavenworth.